A metered-dose inhaler is a small, hand-held device filled with medicine. It helps deliver a certain amount of medicine through your mouth and into your lungs. It is commonly used to treat breathing difficulty related to asthma, chronic obstructive pulmonary disease (COPD), and other respiratory problems. Each inhaler consists of a small canister of medicine connected to a mouthpiece. The canister is pressurized. As you press down on the inhaler, it releases a mist of medicine. You breathe that mist into your lungs. It’s important to use your inhaler correctly. Otherwise, your airways will not receive the right amount of medicine. Remove the cap and hold the inhaler upright. If your doctor recommends, use a spacer (a hollow, plastic chamber) to filter the medicine between the inhaler and your mouth. The chamber protects your throat from irritation from the medicine. Check your insurance plan, as not all insurers offer coverage for spacers. Press down on the inhaler to release the medicine as you start to breathe in slowly. Breathe in slowly for 3 to 5 seconds. Hold your breath for 10 seconds to allow medicine to go deeply into your lungs. Repeat puffs as directed. Wait 1 minute between puffs to allow the second puff to get into the lungs better. These instructions are for a metered-dose inhaler only. Inhaled dry powder capsules are used differently. To use a dry powder inhaler, close your mouth tightly around the mouthpiece of the inhaler and breathe in quickly. Talk to your doctor if you have any questions about how to take your medicine. 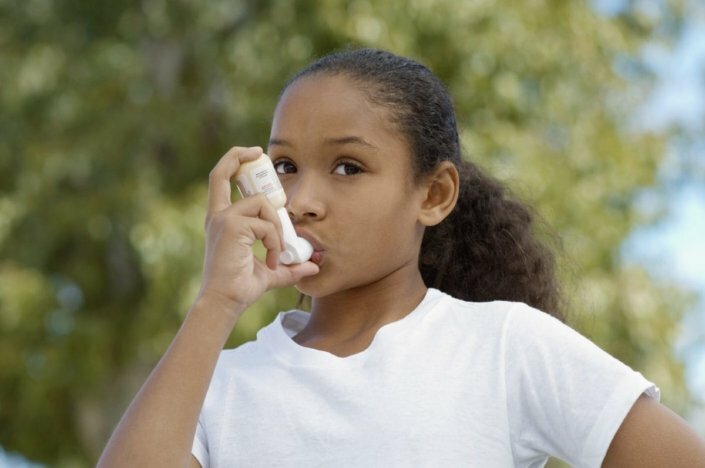 If you use your inhaler for rescue medicine (when you are struggling the most to breathe), ask your doctor if he or she will write a prescription for 2 inhalers. Rescue inhalers aren’t used regularly, so it will be difficult to plan a refill date. Get your prescription filled when the first inhaler is empty. This way, you’ll always have enough rescue medicine on hand when you need it most. Start with a brand new inhaler. The canister will usually have the number of puffs available printed on the label. Divide the number of puffs in the canister by the number of puffs you take each day. The number you get will be the number of days the canister should last. For example, if you take 4 puffs each day from a 200-puff canister, you will need to have a new canister every 50 days. Using a calendar, count forward that many days to see when your medicine will run out. So you won’t run out of the medicine that you use every day, choose a day 1 or 2 days before this date to have your prescription refilled. Using a permanent marker, write the refill date on the canister and on your calendar. What happens if I breathe in too many puffs at one time? When I use my inhaler, my heart races. Is that safe? What should I do if I don’t have another rescue inhaler and I’m having trouble breathing? Is it okay to let others use my inhaler?